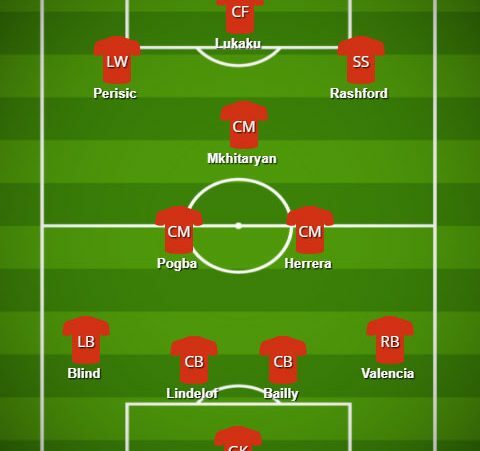 What’s the regular Man Utd starting 11 going to be? The Man Utd starting 11 for the upcoming premier league season has been eagerly debated for a while now. And we have a few predictions from the team at Clever Bets, as well as others, of what we expect the regular lineup to be. The first team has a powerful squad ahead of this season with more arrivals likely to come. Undoubtedly, Matic and Perisic look most likely to join up with the team. During pre-season, Jose Mourinho has tried out a number of formations, including the 3-5-2 formation. 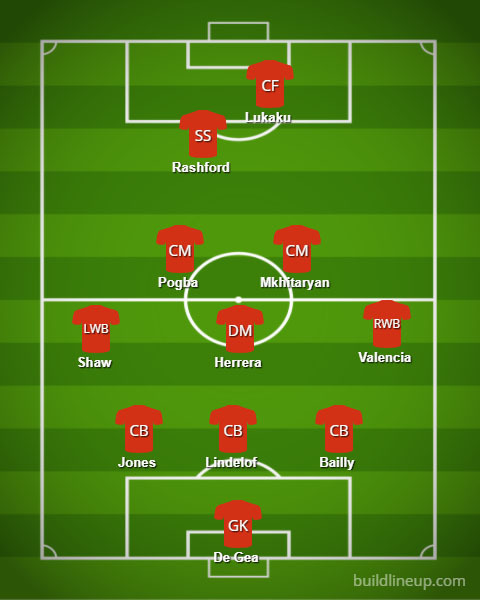 We see this being a strong lineup with the chosen formation. Marcus Rashford and Romelu Lukaku looked very lively when partnered together up front in the formation. Potentially something we are likely to get used to in the coming season. 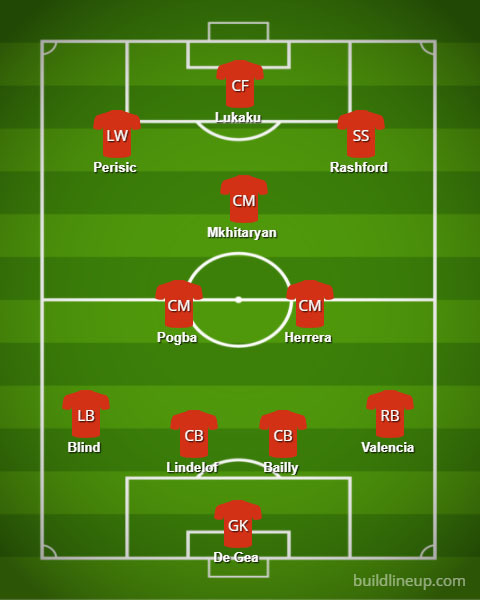 A very strong lineup that we see Man Utd going to if they manage to prize Perisic away from Inter Milan. The following team would push the limits of every team in the premier league. 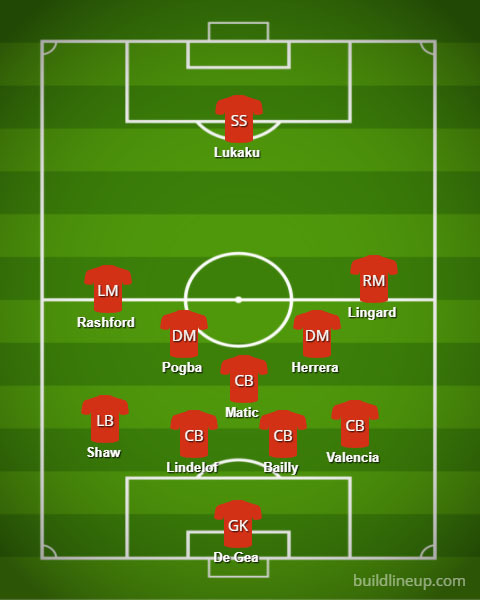 Now with Mourinho comes times where you will see 5% attack, 95% defence and this is something you will see a lot in the coming season. We’re not joking too. @GrumpyMourinho from Twitter has gone for a very top-heavy approach. Top-heavy being Marouane Fellaini’s hair. Unsurprisingly though, Manchester United’s number one keeper manages to keep his spot in Grumpy Mourinho’s team. 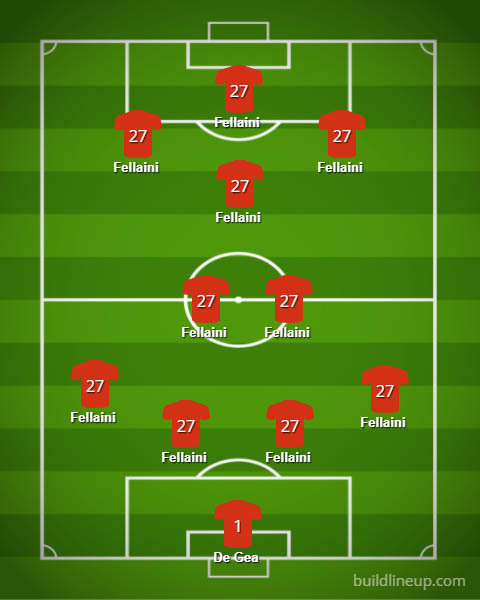 Of course, there are many ways in which Man Utd will be lining up this season. Think you can predict the right starting eleven? What’s your preferred starting 11? Leave yours in the comments and share it with friends.